I have a light under my helmet, so I am approved to ride through the tunnels. I drove to Coeur D’Alene, Idaho and am enjoying the beautiful scenery. This is a fantastic place to spend the summer. The temperatures are cool, there is a big lake in town, and there are many, many trees. It is gorgeous. 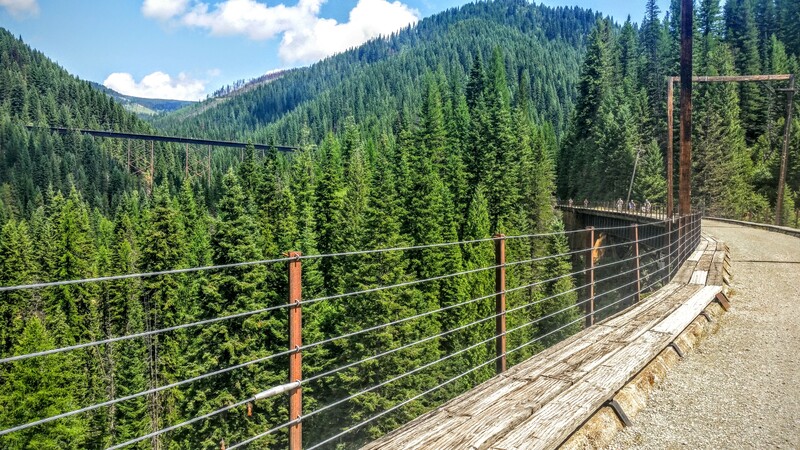 While I was in Enumclaw, Washington, a guy a met in the RV park where I stayed told me that if I drove through Coeur d’Alene, that I should be sure to Ride the Hiawatha. It is a bike path where the old Hiawatha train used to go. It is a 15 mile route with a shuttle to take you back near the top. The highlight is that you ride through 10 tunnels! The whole route is downhill, so it is an easy ride. The trail drops 1,000 feet over the 15 mile length. It is an ideal ride for the whole family. 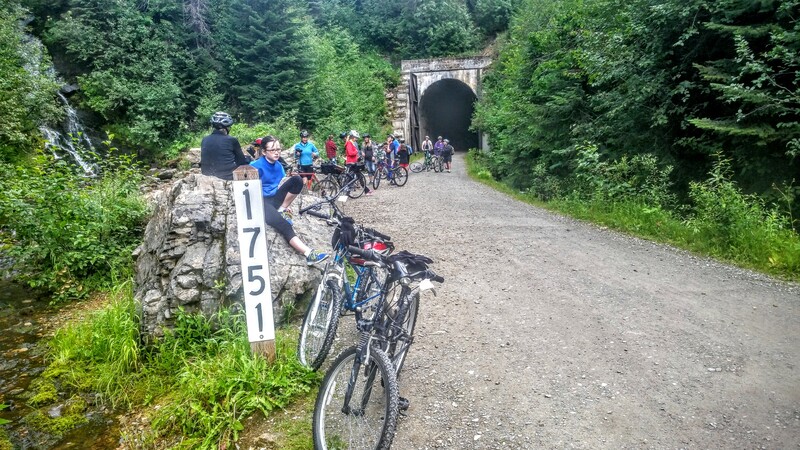 Impressively, the highlight of the route is riding through the St. Paul Pass Tunnel which is 1.7 miles in length. 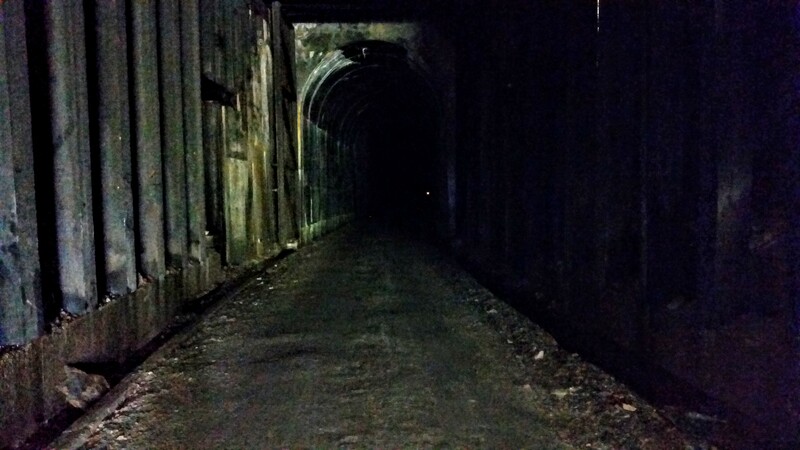 It is pitch dark inside the tunnel after riding a short distance. You cannot see anything, so lights are a requirement. People are hired to make sure no one rides the trail without a helmet and light. Inside the St. Paul Pass Tunnel that is 1.7 miles long, completely dark inside, and quite chilly in temperature. The high trestles are impressive in the midst of all the trees. I highly recommend this ride! The whole family can enjoy it. 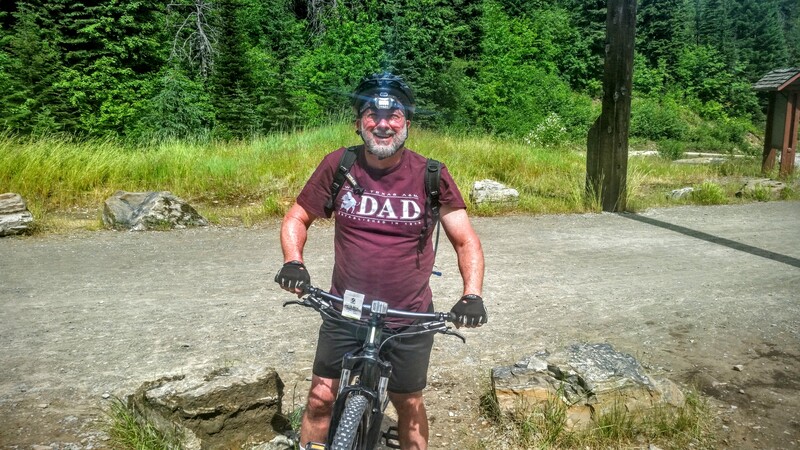 There were two women in their mid-seventies that started riding just before me. Many kids were having fun splashing through the mud in the first tunnel. It was so much fun!